After 6 years of operating our exclusive boutique in London, we have decided to close the store and focus all our attention to our rapidly growing online business. Born in Italy and moved to the UK in 1998, Simona, skilled at working with numbers in her job as an accountant, and an expert at customer service thanks to her experience in the tourism industry, steadily gained the desire to open her very own luxury lingerie boutique. Being a self-confessed lingerie shopaholic, lingerie had always been a passion of hers and after years of being a dedicated customer to a number of lingerie stores, she felt one very important thing was missing from her shopping experience. Yes, that little extra TLC that we women and loyal customers all crave. The recognition, genuine personal touch and informative help we need to find that perfect piece of lingerie to make us feel even more confident, seductive and simply beautiful. That’s when Dolci Follie was born. 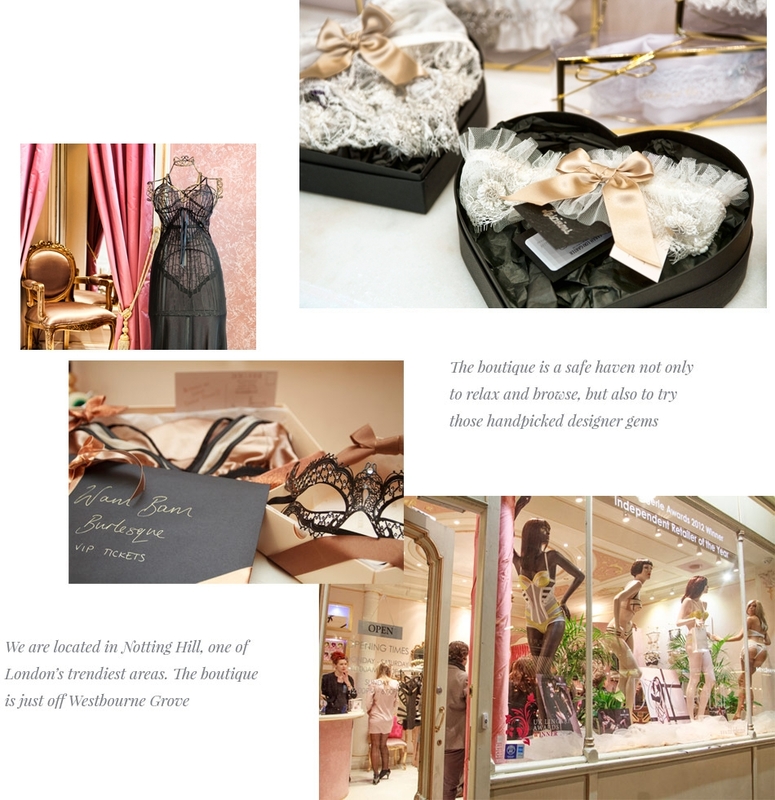 Dolci Follie is nothing short of a luxury lingerie lover’s heaven. It is perfect for perusing through the finest selection from the very best international, recognised and exclusive luxury brands from the UK, Italy and France, such as Bordelle, Fleur of England, Parah, Chantal Thomass and many more. And for you Gentlemen, we are here to give expert tips on how to choose the perfect Dolci gift to surprise, delight and impress. After six years of being based in Notting Hill, Dolci Follie has moved online but still provides an amazing offering and first class customer service. We're constantly updating the range of products to bring you the best selection of lingerie, beachwear and accessories available from our designers. Why not follow us on Facebook, Twitter and Pinterest to get the latest news.